The Golden Star appears to have everything that a beginning player might need to start enjoying the many attractions this online casino currently possesses. And it does offer quite a lot of games; mainly of the slot variety, but there are also BTC games, live casino and table games, plenty of jackpots, as well as the new ones, which have been just added to the whole software roster. The site has a user-friendly interface, available in English, Russian, German, Spanish, Swedish, Finnish, and Norwegian. 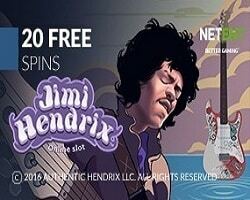 You may find that the GoldenStar casino is always fully prepared to meet its customers with a lot of exciting content, including bonus promotions, extra spins, and multiple tournament that run simultaneously with other campaigns. Collecting statues and additional points should be easy enough, so that everyone could enjoy the privileges granted by the rewards program, where there are still plenty of other exquisite things and surprises waiting for you. All customers of the Golden Star casino will quickly discover its amazing branch of software goods, featuring such games as video slots, alongside the more classic or traditional variants. Supplied by the Amatic Industries, BGaming, Microgaming, Play’n GO, NetEnt, Yggdrasil, NYX Gaming Group, BetSoft, Pragmatic Play, Belatra, EGT, GameArt, iSoftBet, NextGen, Spinomenal, ELK Studios, Thunderkick, and Endorphina, makes for a comprehensive library that should appease even the most demanding of gamblers. Those who are still relatively new to the entire concept, should first try a couple of the newly released slot machines, including: Legend of Loki, Lucky Little Devil, Dream Date, Tiger’s Claw, Hotline, Sweet Alchemy, Carousel – Ride & Get Fun, or Fortunes of Asgard. Find out if the GoldenStar program meets your own gaming standards, and apply as soon as you are ready to go on a virtual trip, filled with chips, lucky symbols, and a whole lot of spins.